PERTH-based caravan builder Fleetwood Corporation's net profit has plunged by a staggering 81 percent, it has been revealed. According to the online Caravannning News, the company ‒ which manufactures the Coromal and Windsor range of caravans ‒ said profit for the six months ending December 31 was $5.122 million ... down from $26.887 million on the same period in 2011. Fleetwood is also a major supplier of pre-built accommodation for the resources sector, but this business has been badly affected as mining giants in Western Australia finish major projects. The disappointing half-year result came on the back of $148.604 million in revenue, down 24 percent on the previous corresponding period. 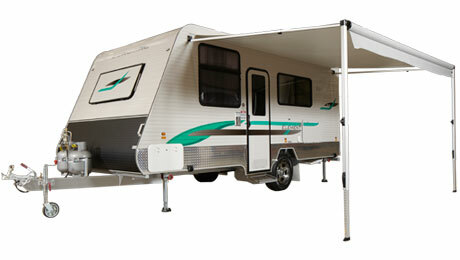 Its recreational vehicles division, which also includes Camec and Flexiglass, produced earnings of only 0.1 million compared to $5.1 million previously, but this took into account a $5.4 million loss in transferring its Windsor caravan operations from Melbourne to Perth to consolidate manufacturing. In a statement, Fleetwood said the division had experienced "continued weak trading conditions". "Initiatives to significantly reduce overheads were applied across the group resulting in some one-off restructuring costs, the impact of which was most significant in the recreational vehicles division," it said. Fleetwood shut down its Windsor operations in Melbourne last September and transferred production to its complex in WA where it already manufactured the Coromal caravans. It was a move which chief executive Steve Price told Caravanning News "makes sense". The company later released a new range of lower priced caravans and this had resulted in the division now having a "healthy order book". Fleetwood said it expected an improved result in the second half of this financial year. But it warned that revenue for the recreational vehicles division would continue to be affected by consumer sentiment. "However, with caravanning manufacturing now consolidated in WA, the division has a more competitive business structure and cost base which will improve financial results and facilitate profitable growth," it added.